Save $500 with the purchase of a 5-piece LG Kitchen Package at Best Buy! Click Here! 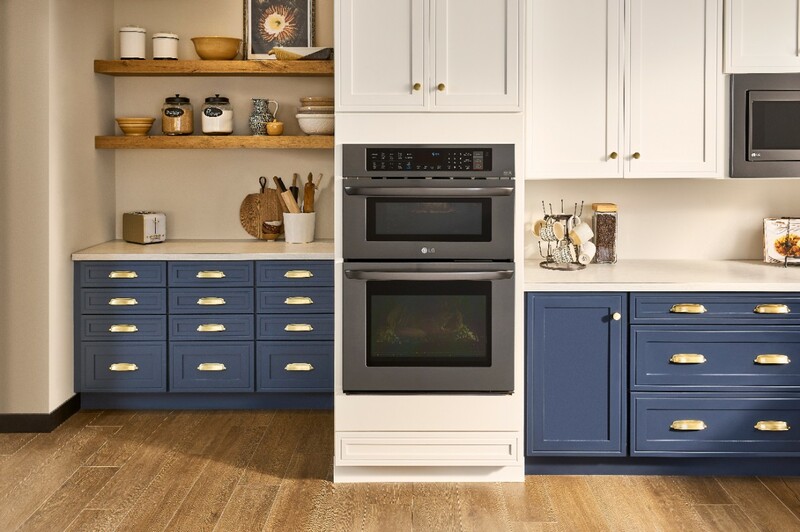 Right now you can snag the LG Combination Double Wall Oven: $500 Off with purchase of a 5-piece LG Kitchen Package through 3/6/19! Get even more cooking flexibility and convenience with this LG combination double wall oven – delivering the even cooking of convection to the speed of a microwave, and more. Take your kitchen’s style and capabilities to the next level with LG’s cutting-edge appliance technology and variety of sophisticated finishes that can complement your existing cabinetry. Save $500 on your appliance package when you buy five or more LG appliances. With LG’s TurboCook™ Speed Oven you get the hustle of a microwave with the quality you expect from a convection oven. Bake whole chickens, potatoes, pizzas and more—no preheating required. With speeds 2 to 4 times faster than a traditional oven, you’ll have more cooking flexibility and more time to enjoy your meal. True Convection delivers precise heat for crisp, delicious food. Bake with the greatest of ease with LG’s True Convection oven. LG’s convection technology evenly distributes continual precise heat so food is delicious on the inside, and crisp on the outside. LG Black Stainless Steel Series brings luster to kitchen spaces. It elevates the traditional stainless steel look that has become the standard in today’s homes with a satin-smooth, warm and sophisticated finish unlike any other—for a timeless expression that pairs beautifully with any style or color of surrounding cabinetry. Save $500 with the purchase of a 5-piece LG Kitchen Package at Best Buy! Click Here!